Every other year, Munich plays host to the world’s largest electronics fair. Over 70,000 visitors and almost 3,000 exhibitors gather for a week in November to share new technologies, meet with customers and clients, and work on best practice and ideas sharing. At electronica 2016, the Converge team met with over 100 customers at our stand and many more out in the myriad halls throughout the event. Overall, the tone of the conversations was positive and shared a single underlying theme – in an uncertain time in the industry, having reliable and secure partnerships with certified, qualified and experienced partners is a key pillar of long-term supportability and successful industry presence…regardless of your end customer. One question we were continually asked centred on what effects we’re seeing in the wider electronic components supply chain on obsolescence caused by manufacturer acquisitions and consolidations. The effects and our position depend entirely on our perception of how vital these manufacturers are to our supply chain. 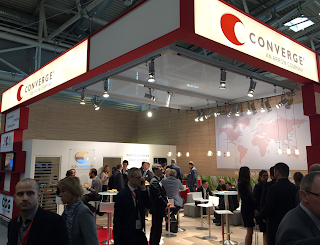 At Converge, we work to understand the unique position each of our customers occupies. To do this we need to listen, to learn and to offer relevant solutions to their current needs. It pays to think differently about the suppliers we choose to rely upon…it also helps if we understand game theory (in short, game theory is the study of how and why people make decisions). Consider whether an organisation you trust in your supply chain is trying to ‘win’ or trying to change a paradigm – there is a distinct advantage to following the former if you need the latest cutting-edge technology and the lowest price, but if you’re considering long-term support, where should you put your faith? Unfortunately, nobody has the ability to wind back the clock and make better-informed decisions about the kit that they now need to support for the next 30 years. It’s a little late for that! So while Converge, and our amazing Field Application Engineering (FAE) division in our parent company, can help with future applications at an early stage, today most engineers are concerned with where they’re going to get obsolete parts to support their product. This was a topic I covered in a short, 30-minute talk at the ICC Media Embedded Forum at electronica – the balance between understanding where your internal information and data lie in the relevance spectrum when compared against open market contextual information. This talk explored how much control a company can exert in their supply chain when able to fully visualise wider, marketplace data in the context of their application. I’ll share the recording in a future post. With that dichotomy in mind – the immediate against the potential risk – the Converge team travels to Denver the week of 28th November to the DMSMS (Diminishing Manufacturing Sources and Material Shortages) event to meet with and help high-reliability, military and aerospace companies address their pressing obsolescence and supply chain issues. If you’re in Denver and planning to attend the show, please come and talk to us. My American counterpart, Bill Fliegel, has extensive experience within the military and aerospace industry, and we’d be more than happy to learn more about your current supply chain and electronic component challenges. We’ll be at booth #908. Come join our obsolescence community! 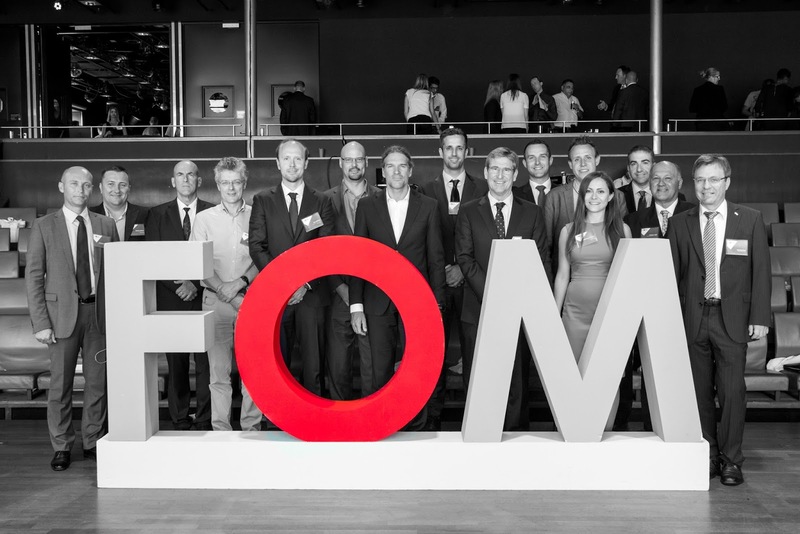 At our previous Future of Obsolescence Management (FOM) events in Amsterdam, we were delighted that several representatives from customers and partners located in the United States were able to join us. In fact, two of our guest speakers at FOM 2016 joined us from across the Atlantic to lead a discussion around innovation in early September, receiving a great response from attendees regarding their perspective and experiences on supply chain disruption. Supply chain disruptions – where unexpected or unplanned events adversely affect a company’s ability to complete or deliver projects – are becoming increasingly worrisome throughout the electronics landscape. In a 2015 study by the Business Continuity Institute, 48% of respondents admitted that they were either “concerned” or “extremely concerned” about supply chain disruptions. Tellingly, 72% of respondents admitted that they lacked full visibility of their supply chains. In the very same study, 14% admitted that losses from supply chain disruption had cost over €1m. Obsolescence can be a key problem, and once redesign (replacing one component with another) and re-certification (ensuring that the replaced part functions as it should in end applications) are taken into consideration, the costs here can easily hit nine figures. Obsolescence, of course, is not a problem limited to those of us in Europe, and it would be poor form to forget that the United States is the second-largest trading nation on the planet, with a large focus on high-reliability and high-criticality goods, and a need for obsolescence best practices, communication and innovation. The Los Angeles County area, for example, is home to over 300 aerospace and defense (A&amp;D) companies with almost 60,000 employees, not to mention world-leading educational institutions such as UCLA, Stanford and Caltech. 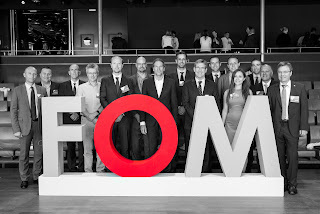 By hosting an FOM event in this area, we felt we could harness the experience of cutting-edge engineering minds to share their experiences and visions of the future, which are key aspects of FOM. With this in mind, we were delighted to accept an invitation to attend the Arrow Electronics Technology Forum in early October in North Los Angeles to bring FOM to the United States. For the event, my counterpart Bill Fliegel, Americas director for FOM, collaborated closely with Converge sister companies Arrow Supply Assurance and SiliconExpert to explain the benefits of working on an end-to-end solution for data and component tracking, mitigating the risk of obsolescence and supply chain disruption. Bill was joined onstage for a panel discussion by industry experts from Arrow Supply Assurance, Raytheon Space and Airborne Systems, and Orbital ATK, covering a wide variety of topics and taking Q&A from the floor. Innovative ideas around collaboration and both upstream and downstream data sharing, as well as lessons learned from the automotive industry, were extremely well-received and promoted thoughtful debate. Following the event, and after reviewing feedback from attendees and contributors, we’re excited to announce that Converge will be bringing FOM to the West Coast (USA) in 2017. We’re already compiling an agenda and identifying speakers, and are open for paper submissions. If you would like to be involved, contact me at rob.picken@converge.com. Visit this blog for future details, join the FOM community or contact your local Converge contact.